Kyle Gossen is a partner at Davies Howe LLP practicing in the areas of municipal, real property and commercial litigation. Kyle’s practice is focused on assisting homeowners, developers, builders and others in the development industry in resolving complex property, land development and construction disputes. Kyle also maintains a practice in commercial and insurance defence litigation. Kyle was called to the Bar of Ontario in 2013 after completing a clerkship at the Superior Court of Justice in Toronto. As a clerk, Kyle worked closely with judges sitting on the civil, class action and commercial lists. 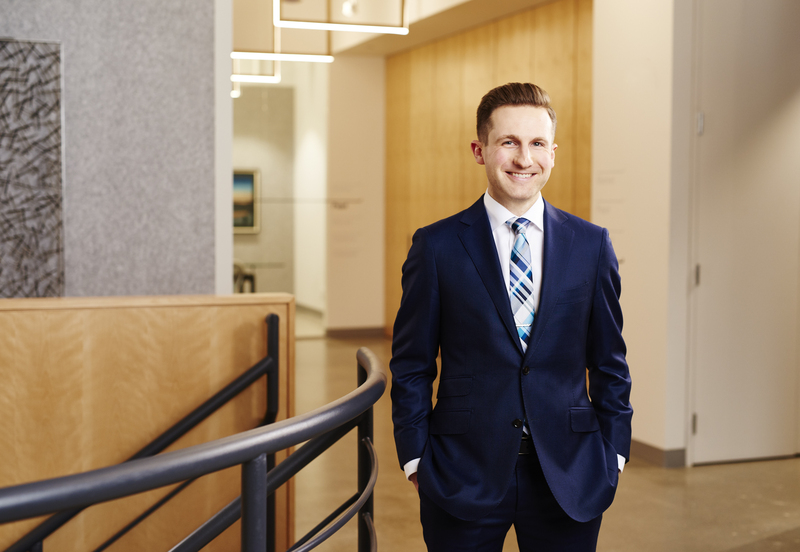 Kyle volunteers with Law Help Ontario, providing legal advice to low-income litigants at the Superior Court of Justice and Small Claims Court, and with the Refugee Sponsorship Support Program, assisting with refugee applications. Kyle is a member of the Ontario Bar Association, the Advocates’ Society and the Building Industry and Land Development Association. Outside law, Kyle’s passions include his music collection, which spans most genres, and reading widely on history and science.